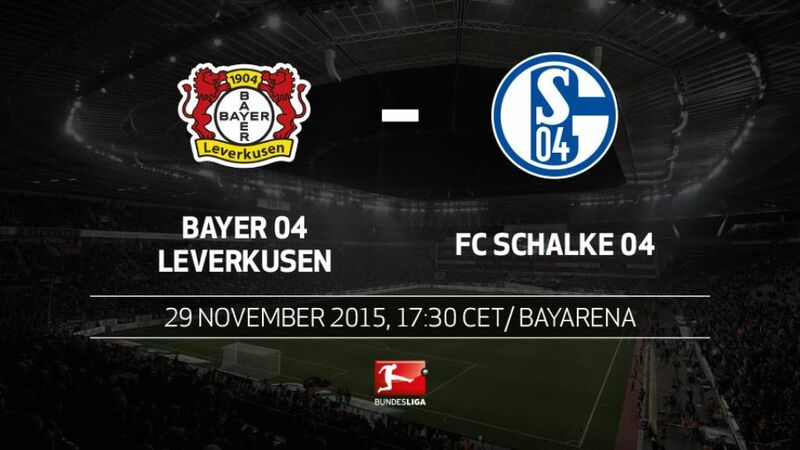 Both Bayer 04 Leverkusen and FC Schalke 04 will be looking to make up lost ground when they meet at the BayArena on Sunday (kick-off 17:30CET/16:30GMT). These two sides are almost as far behind league leaders FC Bayern München (17 points) as they have accumulated points this season (20).Schalke have lost two games in a row under Andre Breitenreiter for the first time; they have won just one of their last six.Schalke have to do without the suspended Johannes Geis – without him, they have not scored a goal from a dead ball situation.Last season, Schalke lost twice to Leverkusen, failing to score in either game.Leverkusen have 18 home wins against Schalke, more than against any other opponents.Stefan Kießling is set to make his 300th appearance for Leverkusen. Apart from Dortmund goalkeeper Roman Weidenfeller, no other player in the Bundesliga has played as many times for the same club.Javier 'Chicharito' Hernandez has scored five goals in his last four league games for Leverkusen.